Weather was beautiful yesterday so Carlos and I decided to go to Manayunk (pronounced at ManEyak) in PA. Is about 45 minutes driving from our house. 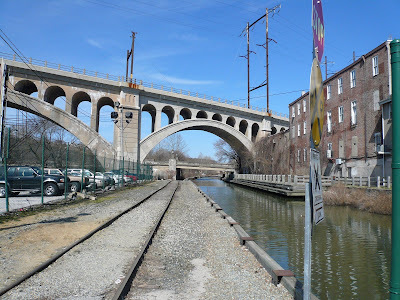 Manayunk is a neighborhood in the northwestern section of the city of Philadelphia, and is located on the banks of the Schuylkill River, it contains the first canal begun in the United States (although not the first completed due to budget problems). The name Manayunk came from the language of the Lenape Indians and they referred to the Schuylkill River as "Manaiung". Manaiung is the Lenape word for river which literally translates as "place to drink". You can read about the history of Manayunk here. We just walk around, looking at some of the stores, having coffee and lunch there and also trying to find a new sofa set for our family room. Here are some of the pictures I took when we were there. It was just too bad we can't find the sofa we like but nevertheless we had a wonderful time walking around, enjoying the food and people and most of all being together. Hi Gert ... Manayunk looks like a quaint little town, rich in history. I love visiting places like these too, especially chatting with the locals. Is it famous for producing furniture? I am glad you're getting good weather. We had 7 inches of snow yesterday. Can you believe it? It's already spring!! Wow...the weather looks lovely! No more snow, eh? I like Manayunk. It looks like a cosy little town. Would love to visit it one day. I like the town macam sunyi dan aman je. I love those tiles.. bole bawa balik msia tak rasanya? Nak gi sana nak beli banyak2. A dinner at that Brewing Company would be nice, kan..??? By the river watching sun set... Very nice. 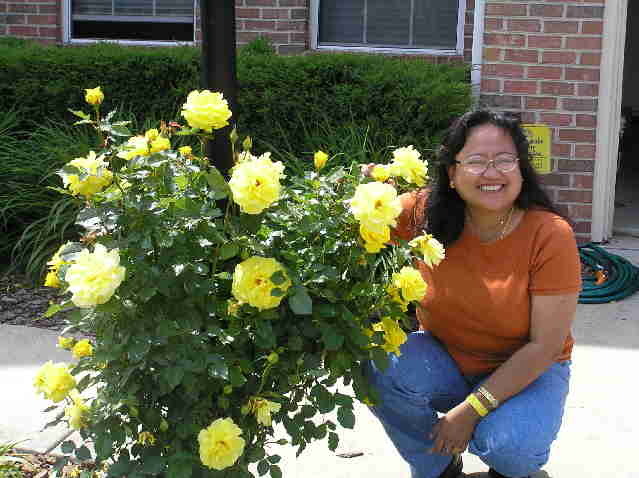 We too, need to get out of the house sometime..
Gert, among other things tht i miss in PA is the old buildings. Theyr practically everywhere kan? I just remember your tiled outdoor table that Carlos made. Did he get the tiles from Manayunk? Nice scenery. I hope you will find your sofa soon.